Boca Raton Marriott – 5 mins. Boca Raton Resort – 5 mins. Delano Hotel, South Beach – 45 min. Ritz Carlton, Palm Beach – 20 min. Spring Hill Suites Boca Raton – 8 min. The Biltmore, Coral Gables – 45 min. 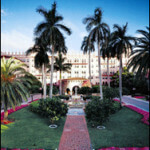 The Breakers, Palm Beach – 30 min. Atlantic Avenue, Delray Beach – 15 min. Bal Harbour Shops, Miami – 45 min. Boca Center – 5 min. City Place – 30 min. Las Olas Blvd., Fort Lauderdale – 30 min. Miracle Mile, Coral Gables – 45 min. Mizner Park – 5 min. Sawgrass Mills, Fort Lauderdale – 45 min. Town Center at Boca Raton – 5 min. Worth Avenue – 30 min. Boca Raton Resort – 5 min. Doral Golf Resort and Spa, Miami – 60 min. PGA Resort & Spa – 30 min. (as seen on CNN & in USA TODAY) Relax and be pampered after your state-of-the-art hair restoration procedure in beautiful South Florida. World-renowned luxury accommodations and amenities await you here in Palm Beach, Florida. For more information, we invite you to call us at: 561-394-0024. Our toll free line (U.S. only) is: 1-877-BAUMAN-9. Boca Raton Executive Airport – 5 min. Fort Lauderdale-Hollywood Int’l Airport – 30 min. Miami International Airport – 45 min. Palm Beach International Airport – 30 min.